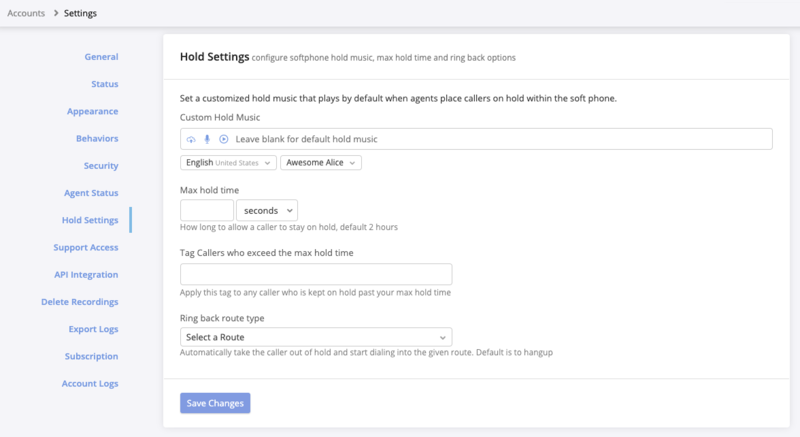 When you place a call on hold, a default system file will play music for the caller to indicate they are still connected to the call and waiting for you to return. Navigate to Settings → Account Settings, then click or scroll to the section labeled Hold Music. Click the cloud icon in the Custom Hold Music field. In the pop-up that appears, click the System Recordings tab to view all available presets. If you have a different file you’d rather use, follow the instructions here for managing your own audio files in the account.